When you think what the Polycom VVX500 can do compared to what it costs, there’s really no further thought needed. 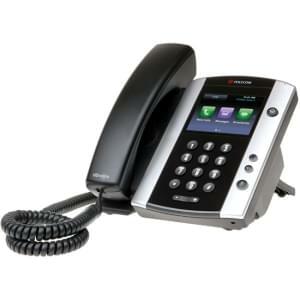 The 12 Line SIP IP phone has a vibrant 3.5″ color screen, along with Polycom’s patented and proven, HD Voice. This phone exudes quality, and is highly customizable with built-in web apps, news, weather, and more – it’s really a mini computer. Once you toggle the touch screen for the first time, you’ll feel right at home, like your cycling through information and applications on your smartphone. 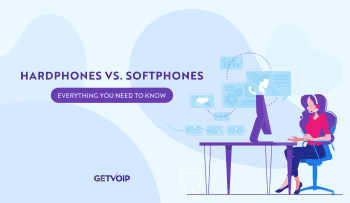 The phone is pretty flexible, extending to your PC desktop in various ways, and is very receptive to media and storage via it’s Dual USB ports. One feature I especially like about this phone, is how accessible important actions like call transfer, voicemail access, and hold are (with a running count of all calls displayed so you don’t leave anyone hangin’ for too long). The polished visual screen really holds up well in this case, whether you’re managing conferences or simply watching a video. Another great feature is on-the-fly call recording – throw a flash drive in the one of the two USBs built into the unit and get real-time call recordings without the need for external software…this phone is truly built for the enterprising business on a budget. Rest assured that you’ll never be overwhelmed by calls or underwhelmed by all this phone has to offer. The Polycom VVX 500 retails for about $230 bucks if running on external PoE – tack on another $15 if powering through a generic 48v AC adapter (not included). The name of this phone makes it sound more like an aircraft than a something that would happily sit atop your desk. The Cisco 525 G2 totes 5 lines, and is incredibly easy to cycle through for commands, settings, accessing widgets, or setting your favorite mp3 as a custom ring tone, via the USB port on the back (2.0). Built in Bluetooth and Wi-Fi put an accent on it’s operation, with high quality audio in HD Voice. The hard keys allow you to access voicemail, hold, mute, and speakerphone in a snap, though if it is lacking anything, that’s a modernized keyboard – you are required to arduosly press 2 three times for the letter C. The phone comes standard with its own phonebook, conference, paging, transfer, call parking, and a whole lot more. Not to be overlooked, is the graphics-rich, high-resolution 3.2 inch screen. Integrating nicely with other Cisco peripherals, the 525 G2 allows users to view video feeds from Cisco business internet video cameras, or to securely connect to their phone system remotely for making calls. For those looking to do more advanced things with the phone, they may use Cisco XML services framework for productivity applications. Overall the Cisco 525 G2 is the perfect fit for small businesses operating at a high level, making it no mystery that it ranks as one the top IP phones for this sector. 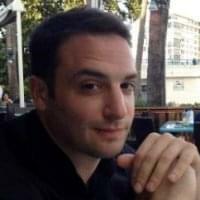 Another entry from Polycom, and what a great one it is. Closing out or list is Polycom 650, and although it’s last, it’s most certainly not least. This phone is very popular among small businesses, with the quality you’d expect from Polycom in HD Voice, 6 Lines, dual ethernet ports, a full duplex speakerphone, and more which make it amazing in the multi-function of calling or conferencing. 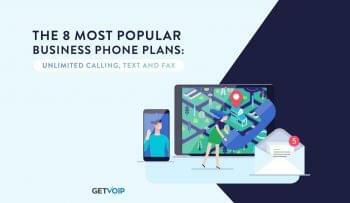 Naturally, the phone integrates seamlessly with popular platforms like Asterisk, Trixbox, and other SIP based IP-PBX builds. If six lines isn’t enough, you may add an expansion module – up to 3 if you’d like (for a total of 36 line appearances). The IP 650 stands as one of the more advanced desktop phones, keeping things organized for the executive set or attendant. Returning to the voice quality, the IP 650’s sound clarity is incredibly crisp. 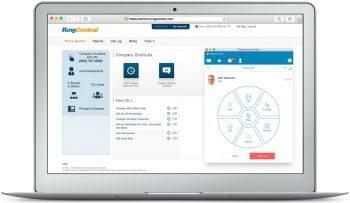 Mix in the productivity suite and you’re all set to manage conference calls, organize directories, and monitor call quality right from the phone. Call transfer, hold, forwarding, and voicemail options are front and center with quick buttons on the phone. Know when you have a message the instant you enter the room with the flashing voicemail indicator – I personally love that subtle touch. Polycom’s IP 650 supports EHS, so you can get to making hands-free calls in a jiffy. Oh yeah, and the screen isn’t color, but it is white backlit and easy on the eyes nonetheless. If you intend on being fancy, you can work in XHTML applications, along with other benefits that come with the SIP 2.0 software like Microsoft Live Communications. The Polycom IP 650 is a great phone for any small business – you won’t be disappointed.